Remember this fabric? I bought it some time ago along with some others and it's just been sitting there waiting for some love. Valentine's Day is perfect for that! This is the wrong side of the fabric which I like much better than the right side for a Hawwiian shirt. It's worn and faded looking. Perfect. I'll be using McCall's 4079, view C.
There you go, all cut out and ready to be sewn on Monday. A very last minute Valentine's Day sewing project for my guy. This is what I meant by loosly following the Men's Shirt Sew-Along. I watch what everyone else is doing in the sew-along, then I do whatever I want. Very loose following. oh my gosh - I just happened to check this and realized I did not call you back today! I am so sorry - I have been running all day! How did the shirt turn out????pictures??? happy guy???? 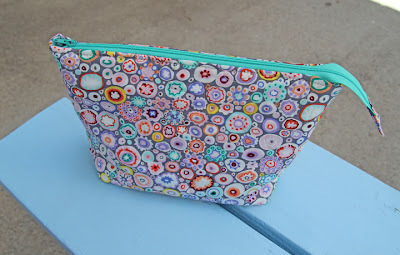 PS - I love sewing with the wrong side of fabric - great idea!